I started this manicure with a Catrice polish that I picked out and a friend brought over from Germany. It's called Caught On The Red Carpet and it's the perfect dark red creme. It's cool toned enough, dark enough but not too dark and more purple toned than brown. I'm really happy that I found this shade because it looks great on me. Here's how it looks by itself. The formula was good and I managed to make it opaque in two coats. The only issue I had was with the brush. Instead of being round it was sort of triangularly cut, which made it impossible to get a clean edge around the cuticle. There was a lot of cleanup involved with this. Other than that, it dried fast to a shiny finish (no top coat in the swatch above). On top of it, I stamped an image from plate BP-01 from the Born Pretty Store using Konad White. 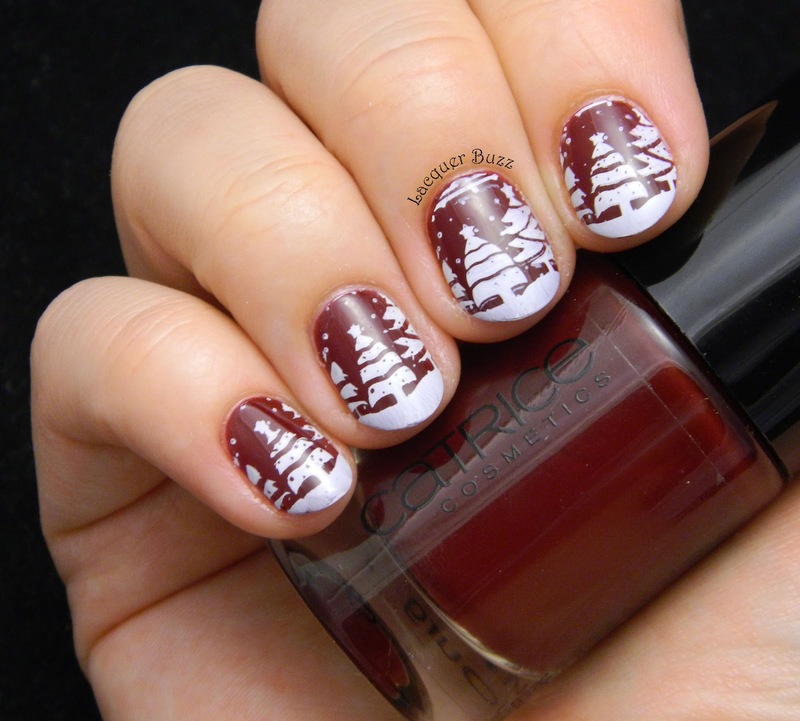 It stamped pretty well and I think the combo of red and white is perfect for Christmas. I really love the images on this plate. I've gotten a lot of use out of it this month and there's still a lot of it that I haven't tried yet. Don't forget that you can use code MFL91 to get 10% off your order from the Born Pretty Store. I wish you all happy holidays and the best time with your loved ones! 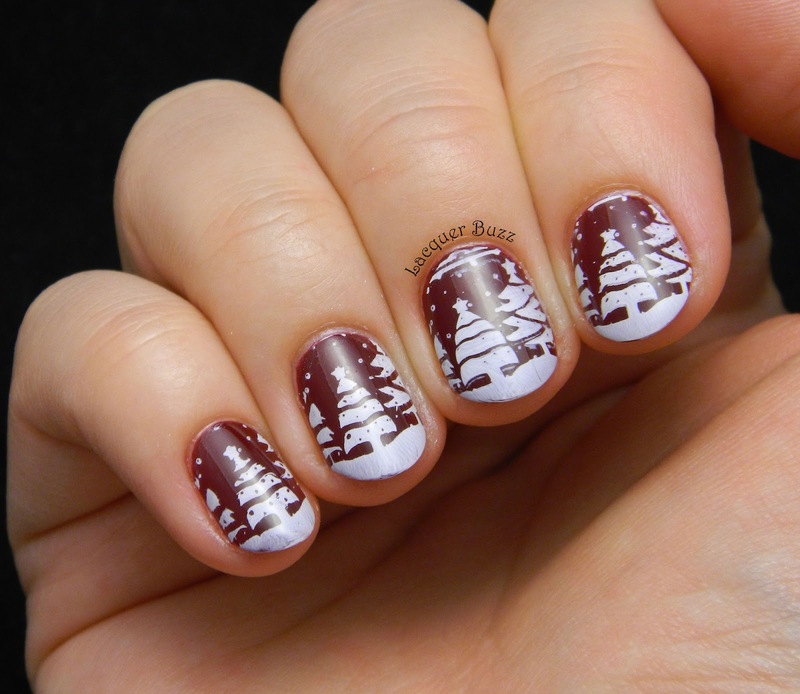 Those white wintery trees look awesome! So pretty against the red too. What a great Christmassy image, love it! 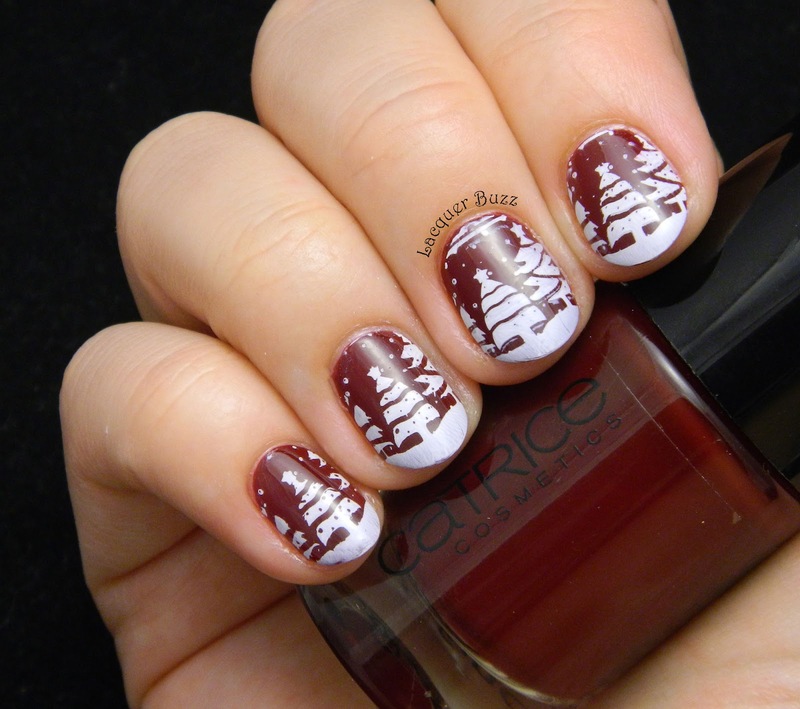 This nail art is gorgeous! I love those snowy trees.